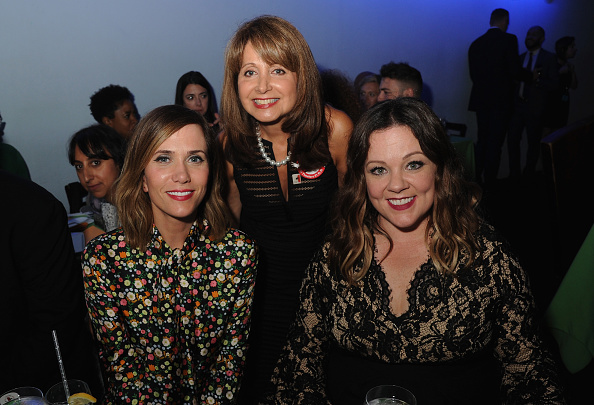 Last night, Kristen Wiig attended the 2016 Gilda Radner Award for Innovation in Comedy, which honored her frequent co-star and good friend Melissa McCarthy. Wiig looked cool in a flower-patterned shirt and matching pants. You can see a few pictures from the event in this post. Later today, Kristen is set to appear on The Tonight Show Starring Jimmy Fallon, so be sure to tune in to NBC for that.